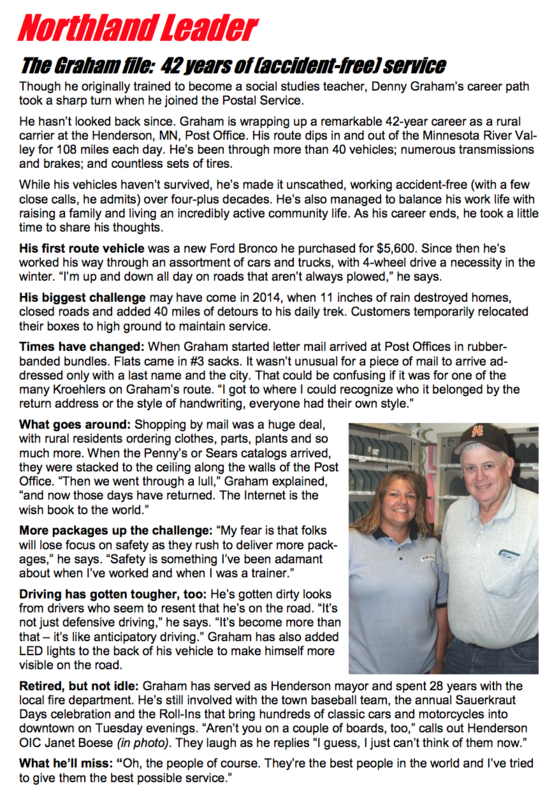 After 40+ years as a rural mail carrier for the Henderson area, Denny Graham is throwing in the ol' mail bag, i guess you could call it, "retiring". He was never exactly modest about his profession, always bragging about never getting a ticket or never having an accident. Sure, it's taken him 40 years to finally deliver error free mail, but i'm sure in the early days he made many mistakes. I know, i've worked with him on may events in Henderson and he can't remember anything! All kidding aside - Congratulations Denny, and if you see him at the mailbox on Sept 1st, which is his last day, remind him of how awesome he is. But then again, i'm sure he already knows. If you have any stories to tell about our "always humbling" mail carrier - please share below. Last edited by Jeff Steinborn; 08/25/17 08:06 AM. 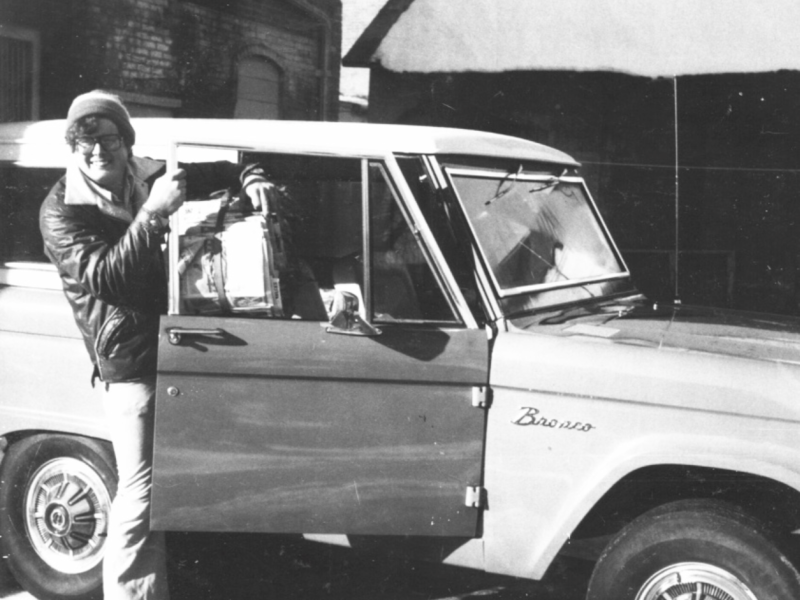 Dennis Graham took over Route One in March 1977. He had been postal clerk for the previous two years. Graham received awards in 1983 and 1988 for accident free driving. On his 104 miles route, he stops at 283 boxes. Attached is from the "Northland Leader"
Congrats Denny! We are all very happy for you! Enjoy retirement!